Is your child between the ages of 6-12 and live in either Antrim, Charlevoix, Emmet, Grand Traverse or Kalkasa county? Could they use a mentor? Fill out our quick referral form here and we’ll get back to you within the next couple of days. Child safety is our #1 priority! The safety and well-being of the children we serve is Big Brothers Big Sisters’ highest priority. Before making a match, our Enrollment and Matching Team carefully screens all volunteers to be sure we not only make a match that lasts, but that children are safe. Child safety and child abuse prevention education programs for volunteers, parents and children. Guidelines that establish appropriate boundaries and respect a child’s right to feel safe. Ongoing BBBS Match Support contact with each party in the match. This helps provide up-to-date information about safety issues and early warnings of potential problems throughout the match relationship. 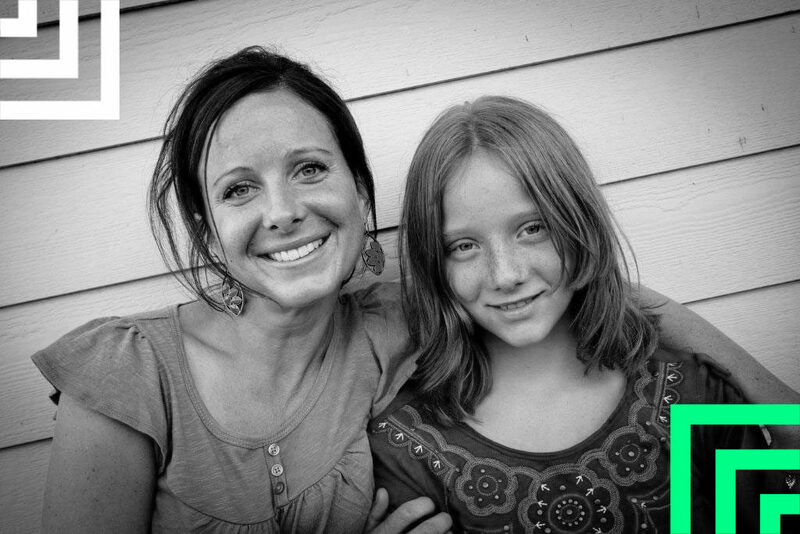 After a match is made, our Match Support team maintains regular contact with the parent, child and volunteer. During the first year of the match, this contact takes place monthly. After the first year, quarterly contact is made. These conversations serve not only to measure the health of the match, but to address any areas of concern. Match Support Specialists are also available at any time to help with your questions or concerns. 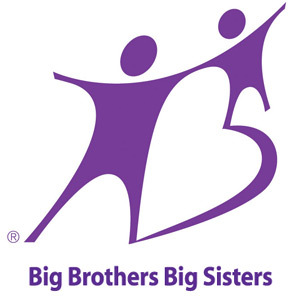 Big Brothers Big Sisters works closely with parents/guardians to find the best Big for your child. Before your child is matched, our Enrollment & Match Support Specialist will meet with you and your child to learn about your child’s needs, interest, personality and preferences. 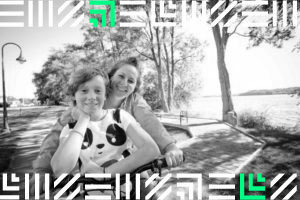 As the person who knows your child best, we value your input. No match is made without the approval from the parent/guardian and child. In addition, throughout the life of the match professional staff will be in ongoing communication with you, your child and your child’s Big. Children between the ages of 6 and 12 years old. The child must be a resident of, or attend school in Antrim, Charlevoix, Emmet, Grand Traverse or Kalkaska County. Legal custody issues must be clearly determined at time of enrollment. The child must want to participate in the program. The parents/legal guardians must be capable of working with Big Brothers Big Sisters and a mentor to support the development of the one-to-one relationship with a volunteer. » The child could benefit from experiences that promote social or emotional growth. » The child could benefit from activities that strengthen their academic skills. » The child could benefit from activities that help develop positive peer relationships. » The child could benefit from self-esteem building activities. » The child could benefit from exposure to community resources/activities. » The child could benefit from the support and attention of another stable adult. » The child has experienced a life event capable of derailing positive growth and development (abuse, incarceration of a parent or sibling, chronic family poverty, lack of stable role models). The child must be capable of establishing a relationship with a volunteer. The needs of the child must be appropriate for volunteer intervention. Children must be in grades one through five. » The child is being referred to the program by a school counselor or teacher. » The child has an asset not currently served by the school system. The parents must be willing to follow program guidelines and respond to agency calls. In order to give you the best experience on our Websites, we may collect personally identifiable and non-personally identifiable information. We only collect such information if it is reasonably necessary to fulfill your online requests or our legitimate business objectives. Personally Identifiable Information. “Personally Identifiable Information” or “PII” is information that identifies you as an individual, such as your full name, address, telephone number, or email address. We do not collect Personally Identifiable Information from you unless you choose to provide it to us. For example, if you donate financially through our online donation form or elsewhere on our Websites, you may need to provide a valid credit card number, expiration date and credit card security code, in addition to your name, mailing and billing addresses, phone number and email address. Please note that you must be over the age of 18 to donate online. If you choose not to provide us with certain PII, you will be able to continue using the Website, except you may be unable to complete your donation or use certain features on the Website. Demographic information such as your age, date of birth, gender, hobbies, interests, zip/postal code or country. Demographic Information is not PII unless it is combined with PII about a specific user. If you choose not to provide us with certain Demographic Information, you will be able to continue using the Website, except you may be unable to use certain features on the Website. Technical Information is information that is automatically collected when you visit the Websites, such as information about your computer or device, hardware, software, connection information, Internet Service Provider (“ISP”), browser type and language, operating system, Internet Protocol (IP) address (which is a numeric address assigned to your computer by your ISP), the web address of sites you visited before and after visiting the Website, the web search that landed you on the Website, web pages and advertisements you view and links you click on within the Websites, information collected through cookies and web beacons, information about your interactions with email messages (such as the links clicked on and whether the messages were opened or forwarded), and standard server log information. Technical Information is not PII unless it is linked to PII about a specific user. Aggregate information is anonymous data about individuals that is grouped together to study a group or category of services or users. Aggregate Information is not considered PII unless it is linked to PII about a specific user. We may collect PII and Non-PII (i) to fulfill your requests for donations, volunteering, and information, including to send you e-mail newsletters and non-commercial messages; (ii) to deliver advertising, marketing communications, and other promotional materials; (iii) to enable you to participate in contests, sweepstakes, surveys, Public Forums, and other features offered on the Websites; (iv) to customize the content, features, and advertising provided to you on the Websites; (v) to facilitate demographic studies, conduct quality assurance, and analyze the use of the Websites to understand and improve our service offerings; (vi) to prevent potentially illegal or offensive activities or to enforce our rights or the rights of our users; and/or (vii) for any other purposes disclosed to you at the time we collect your information or pursuant to your consent. We do not knowingly collect personal information on our Websites from visitors under the age of 13 (“children” or “child”) without first obtaining verifiable parental consent, or otherwise complying with the relevant legal requirements. For information on how we collect, use, disclose and secure information knowingly collected from child users whose parents have provided consent, please see the relevant sections in this Policy. In addition, the parent has the option to consent to the collection and use of the child’s personal information without consenting to the disclosure of that information to third parties, and BBBS does not condition a child’s participation in an online activity on the child’s disclosing more personal information than is reasonably necessary to participate in the activity. We do not knowingly permit children to participate in Public Forums unless they are monitored, the child’s parent or guardian has provided verifiable parental consent, or the Public Forum complies with the relevant legal requirements in another manner. If a parent or guardian has given us permission to collect his or her child’s personal information, he or she can at any time contact us by email at info@bigsupnorth.com or by phone at (989) 631-5360 to: (1) confirm, correct or delete the child’s personal information; (2) discontinue any further online collection or use of the child’s personal information; or (3) revoke his or her earlier consent to the collection and use of the child’s personal information. Please be sure to include in your email your child’s username and password. Please be aware that you will need to provide information on your child; for security reasons, we do not provide information we have on file. We may share PII, Non-PII, and Aggregate Information with our partners who help us perform various functions necessary to operate our organization or fulfill your requests, such as completing your transactions, developing and executing our advertising campaigns, and providing business analytics. Any partners with whom we may share PII are permitted to obtain only the PII they need to deliver the services requested. They are required to maintain the confidentiality of the PII and are prohibited from using it for any other purpose. We also may disclose PII, Non-PII, and Aggregate Information (i) to our parent organization, subsidiaries, third parties and other affiliated companies; (ii) in the good faith belief that we are required to do so by law; (iii) if doing so is reasonably necessary to comply with legal process; (iv) to respond to any claims or inquiries; (v) to enforce the terms and conditions of our or other BBBS owned websites; (vi) to protect the rights, property, or personal safety of BBBS, our stakeholders, or the public; (vii) as part of any merger, sale, transfer of organization assets, or acquisition, if permitted by and done in accordance with applicable laws; or (viii) for any other purposes disclosed to you at the time we collect the PII or pursuant to your consent. Please note that some of our Websites may make chat rooms, forums, message boards, and/or newsgroups (“Public Forums”) available to users. Please remember that any information that you disclose in Public Forums becomes public information. You should exercise caution when deciding whether to disclose your PII in these Public Forums. We maintain log files (“Logs”), which record activity on the Websites and gather statistics about users’ activities, such as how many users have visited the Websites, how often, how many “hits” a particular webpage has received, type and quality of the user’s Internet connection; identification of the user’s hardware and software used to access the Websites, which features on the Websites you used, and the frequency of use. The entries comprising the Logs contain IP addresses, user IDs, and identification of the ISP that provides your connection to the Internet. Generally, we use the Logs to operate and improve the Websites, to identify the popularity of certain features, to assist with internal marketing and demographic studies, to enable us to assess overall efficiency and activity on the Websites, and to assess users’ web-browsing activities, preferences, and habits. We also use the Logs to monitor traffic on the Websites, to troubleshoot technical problems, for security reasons, and to foster the safety of the Websites. In the event of abuse, we may block certain IP addresses. We may use a common Internet technology called “Web beacons” (also called “Web bugs,” “action tags,” “pixel trackers,” or “clear GIFs”) on our Websites. Web beacons are small graphic images placed on a web page, web-based document, or in an email message that are designed to allow us or our partners to collect certain information and monitor user activity on our Websites. Web beacons are invisible to the user because they are typically very small (only 1-by-1 pixel) and the same color as the background of the web page, document or email message. We do not use Web beacons to collect PII about you. We may use Web beacons to collect Technical Information. We may use this information to, for example, record whether individual users view emails from BBBS so that we can more effectively manage our database of active registered members and to display emails in the appropriate HTML or text format. In addition, we may use information collected by cookies, Logs, and Web beacons, to help us determine how to improve our Websites by seeing which areas, features, and products are most popular; personalizing the Website and making recommendations based on products you have linked to in the past; and completing transactions you have requested. We also may permit third parties to set cookies and Web beacons on some of our Websites or in emails sent on our behalf to help us perform various internal functions necessary to operate our organization. These third parties may use these cookies and Web beacons to collect Technical Information when you visit the Websites and may use this Technical Information during your visits to the Websites and other sites in order to provide you advertisements about goods and services that may be of greater interest to you. These third parties may offer you a way to opt-out of this ad targeting. The security and confidentiality of your information is extremely important to us. That is why we have established reasonable safeguards for the security, integrity, and privacy of the PII submitted through the Websites. We also have implemented reasonable security measures to help protect information under our control against loss, misuse, and alteration. For example, PII is stored in firewall protected servers, and all financial information is transmitted through the use of encryption. We also strive to limit access to PII to employees performing a legitimate business function. We review our security procedures periodically to consider appropriate new technology and updated methods. Despite our efforts, no security measure is ever perfect or impenetrable. Therefore, although we take commercially reasonable steps to secure your information, no data storage system or transmission of data over the Internet can be guaranteed to be 100% secure. If you are sharing a computer with anyone you should always log out and close your browser window before leaving the Website to help protect access to your information from other users. Please refer to the Federal Trade Commission’s Website athttp://www.ftc.gov/bcp/menus/consumer/data.shtm for information about how to protect yourself against identity theft. You can opt out of receiving commercial email messages from BBBS by following the instructions contained in any such message. If you would like to be removed from our mailing lists at any time, please send an email to info@bigsupnorth.com. Put the phrase “PLEASE REMOVE ME” in the subject line. In the body of the email, please include your name and address and the database(s) from which you would like your information to be removed. You may also remove yourself from our mailing lists by contacting our office at (231) 946-2447. Please note that in some instances, despite your opt-out selections, we may send you email communications regarding transactions or services you have specifically requested or to inform you of important changes to our Website, products or policies. Some of our Websites contain links to third party websites and content. We are not responsible for the privacy or security practices of these third parties, and we recommend that you review their privacy policies before submitting any information. Any information that you provide or that is collected through any of our Websites may be stored and processed in the United States or any other country in which we or our affiliated organizations, subsidiaries, partners, or agents maintain facilities. As such, PII may be accessed by foreign governmental authorities and otherwise in accordance with applicable laws. By using any of our Websites you consent to such storage, processing, and any transfer of information outside of your country. We abide by the safe harbor framework as set forth by the U.S. Department of Commerce regarding the collection, use, and retention of data from the European Union. I have read, understood, and agree to the Child Safety Policy. I have read, understood, and agree to the Eligibility Policy.